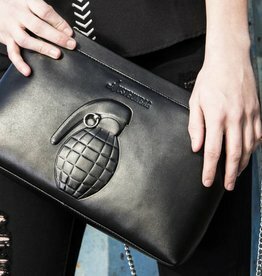 The favourite among JustGunbag fans! The XL Clutch is a large clutch and looks both refined as tough. Designed for the modern powerwoman, perfect for day or night! During the day it pairs best with a pair of sneakers and your street style look and at night it's best with red lips & your highest heels. 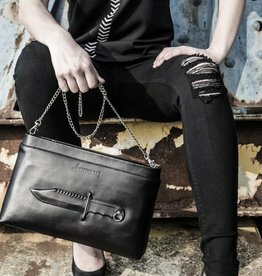 The XL Clutch has an top zip closure to keep all your essentials secure. There are 2 internal open pockets and one internal zip pocket.